The Sanctuary Beach Resort located on the Monterey Bay Peninsula. Where Nature Converges With Comfort and Style. 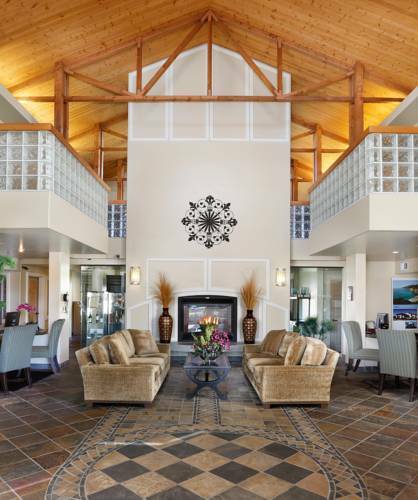 Allow us to introduce you to our hotel in Marina California The Sanctuary Beach Resort which is Monterey Bays most prestigious coastal retreat. This haven of serenity offers its guests stunning views of the sparkling Pacific Ocean the undulating sand dunes and spectacular coastline from every viewpoint. From the moment of arrival at our Monterey Bay hotel each visitor will soon find their psyche giving in to and being enveloped by the calming aura and sense of soothing that permeates the entire resort. As they find their senses continuing to be seduced by this luxurious and alluring environment they will rapidly realize they have found the ultimate in seclusion and an unparalleled place of respite. The Sanctuary Beach Resort offers easy access to numerous dining and recreational activities in Monterey together with myriad choices to observe the striking natural environment surrounding this magical destination. Our Marina CA hotels location couldnt be more idyllic and our service and amenities are unmatched. The Picture-Perfect Location of our Marina California Hotel The Sanctuary Beach Resort near Monterey CA. sits in a prized location adjacent to not only the National Marine Sanctuary but also at the edge of the majestic Pacific Ocean. No matter how remote that sounds and feels our hotels location in Marina CA provides extremely convenient access to just about anywhere you could want to be.The Sanctuary Beach Resort is located a mere 10 minutes north of Monterey and only 15 minutes north of Carme.